Hello, Friends!! I had planned to take photos of my living room and share them with you today but instead I’ve been cleaning up throw up and consoling my sick, sweet 20 month old.:-(. Poor little guy! So photos of the living room reveal to come soon! In the meantime I have an important Design 101 principle to share today. 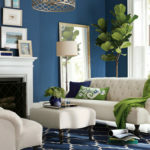 As I’ve been putting together the living room the design principle of balance has come forefront in my mind. 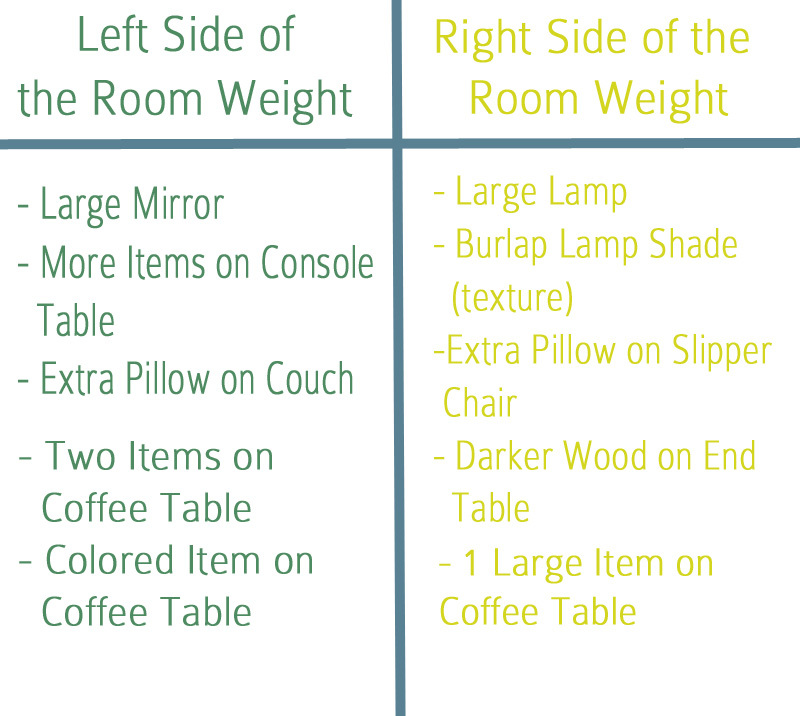 Every item you put in a room whether its a piece of furniture or a decorative accent has visual weight. 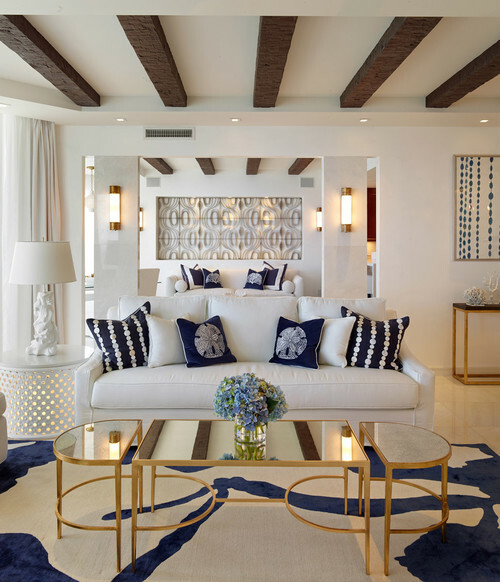 When the visual weight of each side of a room are the same then a room is balanced and hence pleasing to the eye. One way designers create this equal balance of visual weight is through symmetrical balance. 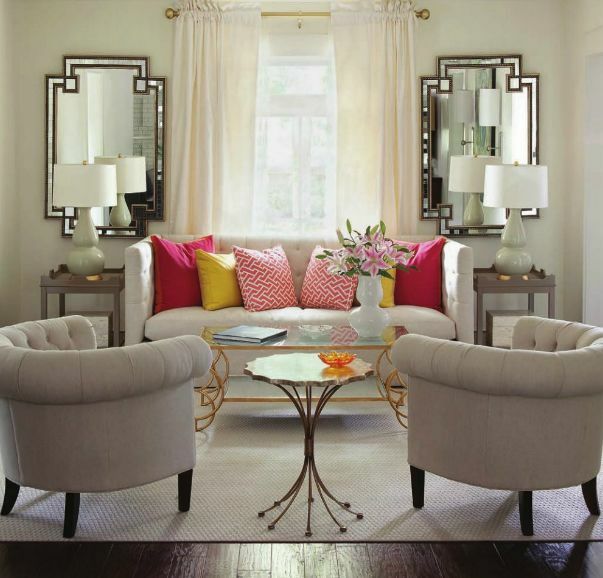 Symmetrical balance is created when one side of a room mirrors the other side of the room. 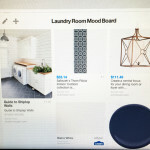 This method is a much simpler way to create balance because whatever you put on one side of a room you know will go in the same place on the side of the room. Here are some examples of symmetrical spaces (or mostly symmetrical spaces)! 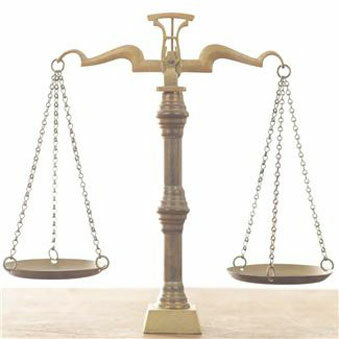 The other avenue to creating balance (and perhaps more common) is through asymmetrical balance. This means that although both sides of a room are not identical that they are still equal in visual weight. So what is visual weight? And how do you balance it?? The visual weight of an item is determined by it’s size, color, and pattern (texture is related to pattern). Simply put, the bigger its size, the heavier it’s visual weight. The louder the color, the heavier it’s visual weight. And the busier it’s pattern, the heavier its​ visual weight. Let’s look at the example below. Here is an asymmetrically balanced space. The striped slipper chairs and larger pillows on the couch are identical on each side but pretty much everything else is different. How was this balanced achieved? The table below breaks it down. 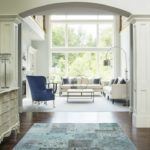 Understanding the characteristics that create visual weight (size, color, pattern) will help you in designing rooms and spaces that are attractive and harmonious! 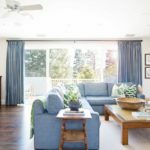 Being familiar with these characteristics can assist you in adding or removing elements to your spaces. Here are a few examples of asymmetrical balanced rooms. If you are interested, take the time to study them and determine what items (and their characteristics) in the room created this homeostasis. 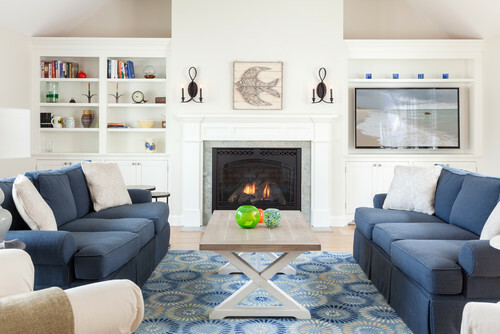 Like the space below, many spaces include elements of both symmetrical and asymmetrical balance! « I Reupholstered My Side Chairs! I love how you explain this Tamara. I have never thought about this topic in this much detail. Very educational! I am sorry to hear of your sick baby 🙁 Hang in there and I can’t wait to see your living room reveal! Great post. I’m in the symmetrical camp myself. I absolutely love the 4th picture of the dining room. I wonder if those chairs are slip covered or upholstered? I’m leaning toward slip overs when I look at armchairs at each end. I wish I knew how they treated the backs of the chairs if they are wood. Gorgeous examples. Human neural architecture actually prefers symmetry. Symmetry is predominant in nature, so it makes sense that the human brain responds positively to it. This is the best explanation of achieving room balance ever!